Frogs are back …… finally ! It’s been a long winter and I was happy to see my first frogs this week ! I was able to photograph my first Green Frogs in one of my favorite pond. I hope that this summer will be great and that I will get some great shots ! 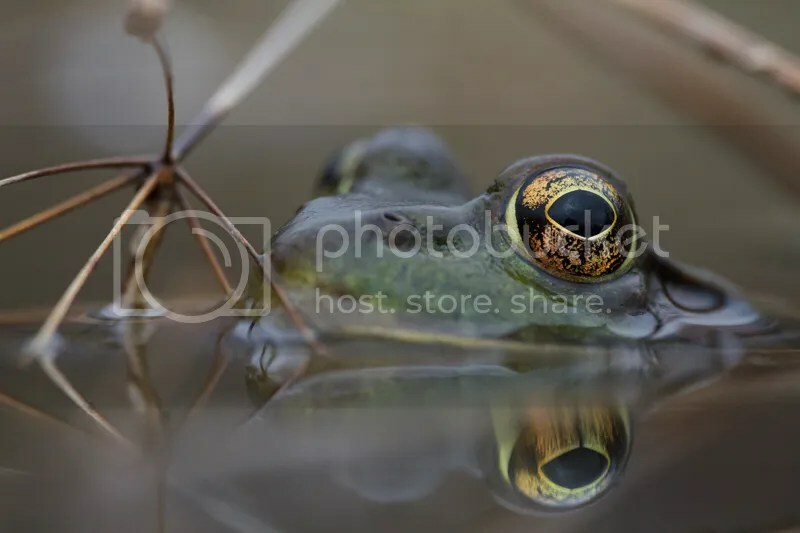 Close view of a Green Frog. I positioned my camera as close as possible to the water level, in fact I went a little too close and the base of my 7D and the tip of my lens touched the water ….. Oups ! Taken handheld with my 7D and Sigma 180mm/5.6 APO Macro, ISO 800 at f/8, I used the LV to focus since it was impossible for me to see in the Viewfinder. This entry was posted on May 2, 2015 by Steeve Marcoux. It was filed under Photo experience and was tagged with canon 7d, frog, green frog, green frogs, sigma 180mm.